Bethesda Softworks and ZeniMax Online have now announced an official release date of the “Horns of the Reach” DLC of the MMORPG “The Elder Scrolls Online”. Last month Bethesda Softworks and ZeniMax Online announced that they are working on a new DLC called “Horns of the Reach” for the MMORPG “The Elder Scrolls Online”. Meanwhile the responsible persons also announced an official appearance date for the DLC. 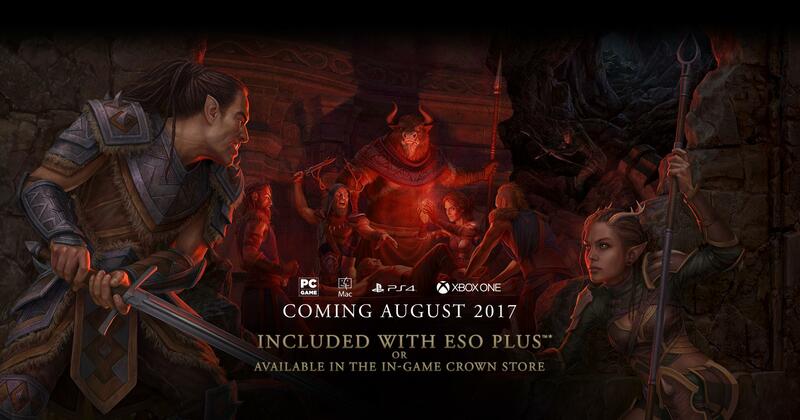 According to this, PlayStation 4 and Xbox One players will be able to start the new adventure on August 29, 2017 for 1,500 crowns. 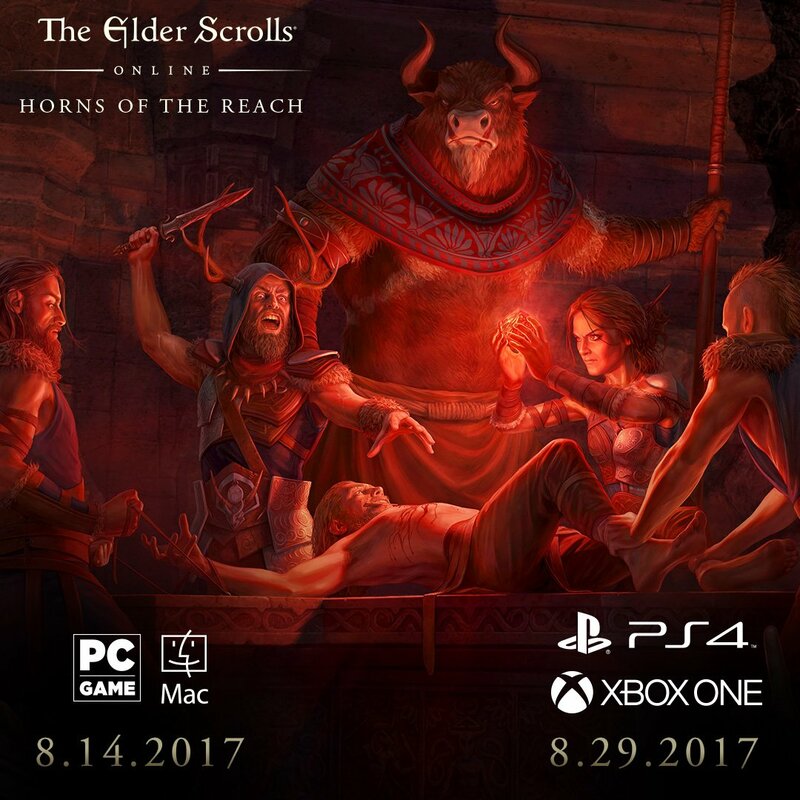 “Horns of the Reach” will be released on August 14th, 2017 for PC and Mac. “Horns of the Reach” is also included in an active ESO Plus membership. With the new DLC players get two new dungeons. These are the “Bloodroot Forge” and “Falkreath Hold”. Also, new unique item sets and Monster Masks, Achievements, boss collectibles, and titles will be included. Whoever can secure all the achievements of “Horns of the Reach” will also receive exclusive costumes and another coloring. The Reachmen, who have been fired from hatred and revenge, have discovered where a terrible mystery hides itself: the Bloodroot Forge. This altar of all primitive and untamed gives a terrible power to those who are ready to lead them. Dare to go to the Bloodroot Forge and keep the Reachmen and Minotaur allied with them before it’s too late. Falkreath’s defense was broken. The Minotaur and their Reachmen allies are relentless, pouring through the hold’s broken walls. Soon Falkreath Hold will fall to her. Collect your closest companions and go. You are the last line of defense. Does it sound like interesting and exciting? It seems that fighting in the dungeons is so cool! Just make sure to visit our site regularly to gather cheap ESO gold for sale at reasonable price for you.